AMELIE 1sh '01 Jean-Pierre Jeunet, great close up of Audrey Tautou! 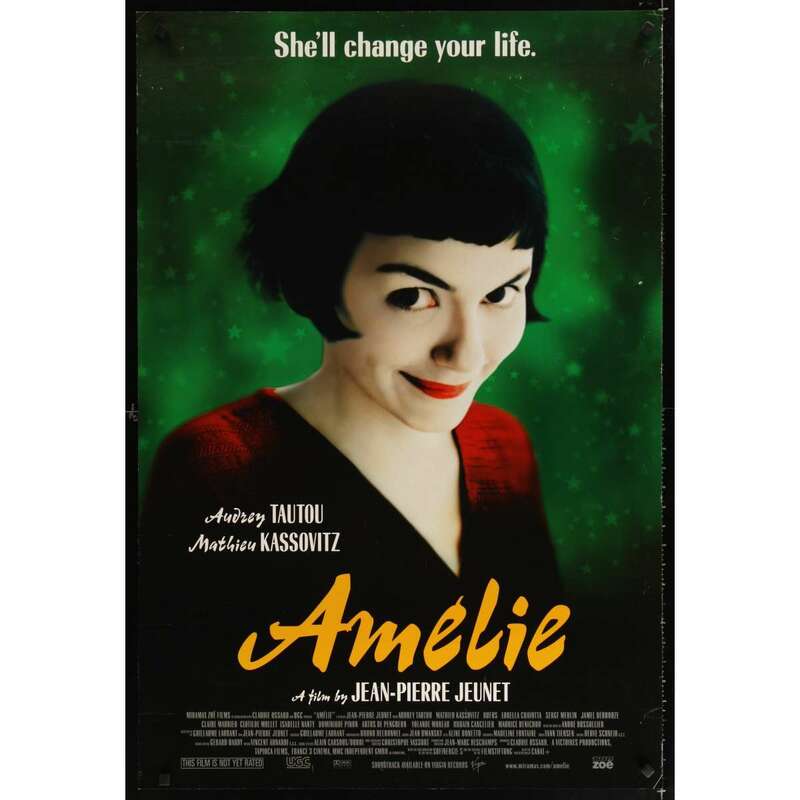 > Movie Posters>Film Posters>US Posters>AMELIE 1sh '01 Jean-Pierre Jeunet, great close up of Audrey Tautou! An Original Vintage Theater-Used Unfolded Single-Sided One-Sheet Movie Poster (1sh; measures 27" x 40" [69 x 102 cm]) Condition: Very Good (C6) See our 10 GRADE SYSTEM Page for more information. Condition: good to very good. There are small creases and scuff marks throughout the poster and there is a small amount of tattering around the edges.